With a band name and album title like these you pretty much know what you're in for. This is beer-soaked twang punk that's easy enough to sing along to when you're plastered but meaty enough to enjoy when you're sober. I found these guys through Anchor Bends' Bandcamp page. I'm glad my web surfing paid off. 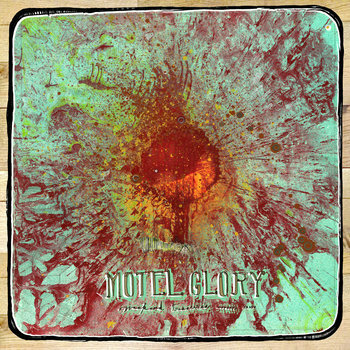 Motel Glory is not the first band to mix up punk and country, but they certainly have their own spin on it. While some songs, like "Drive Away," have clear influences from bands like Social Distortion and Superchunk, Motel Glory's sharply worded lyrics and drier-than-toast wit keep things lighthearted. They're not about celebrating debauchery (though that's a prominent theme in their songs) and they're not about wallowing in their cups (though there's also plenty of that) -- it's more like they're reveling in the fact that both the ups and downs (mostly downs) exist at all. Weekend Treasures is a fun ride that deserves your ears.